One morning, when I sat reading the Bible at the window, I saw these verses: “This know also, that in the last days perilous times shall come. For men shall be lovers of their own selves, covetous, boasters, proud, blasphemers, disobedient to parents, unthankful, unholy, Without natural affection, truce breakers, false accusers, incontinent, fierce, despisers of those that are good, Traitors, heady, high minded, lovers of pleasures more than lovers of God; Having a form of godliness, but denying the power thereof” (2 Timothy 3:1-5). These verses which describe the scenes of the last days aroused my reflections. When pondering these verses carefully, I thought of the present situation of the religious world. Our Christians’ faith and love have become cold. Many of us follow Satan’s evil trends like worldly people, pursuing wealth, rank, and material things. We are wrapped up with the secular world when striving for houses, cars and careers, so that we are unable to extricate ourselves from all the pains of life. And even many religious leaders, pastors and elders also pursue the world. Some of them take advantage of churches to open up factories; some of them scramble for the lectern, raise envy and strife, and form factions; some of them steal God’s sacrifices, embezzle and forcibly occupy believers’ offerings, etc. Now most of believers have only a godly appearance but not a godly essence. We are only Christians in name, but in reality, we are not following the way of the Lord, so when we do something against God, we don’t feel guilty. Even when we pray to the Lord Jesus, we cannot obtain peace and joy. As a result, we become dark and depressed in the spirit, and cannot feel God. I stood up to look out upon the scene, and saw a withered winter jasmine. I couldn’t refrain from feeling somewhat misty-eyed. Now brothers and sisters are trapped in sin and have no path to practice; we are thirsty in the spirit, but our churches have no good shepherds who can water and supply us. While the preachers also have no light and no enlightenment, so they can only preach some clichéd doctrines and theories, such as loving our neighbor, loving our family, maintaining original faith and not leaving God, and so on. We receive no edification of life from them, so that our spiritual conditions become worse and worse. 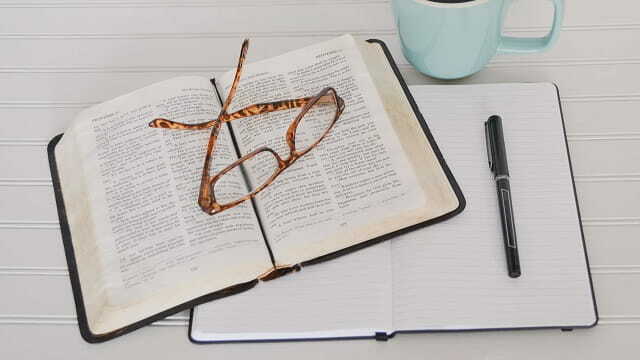 As a result, some believers treat gatherings as a procedure or even do not come to meetings anymore; some churches have to close down, for the meeting attendance numbers are way down. These phenomena of today’s churches reminded me of the end of the Age of Law. 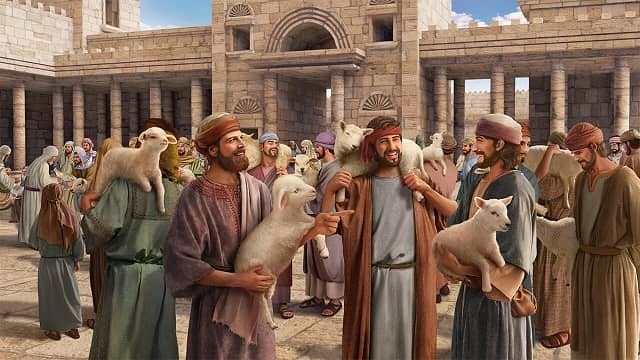 At that time, the temple was in chaos, and turned into a den of thieves where cattle and sheep were sold and money was exchanged. Priests committed sins but heavenly fire no longer fell down to burn them; although believers violated commandments and laws, they were not punished. This was because the Holy Spirit had done a new work in other places: The Lord Jesus was spreading the gospel of the kingdom of heaven and preaching the way of repentance everywhere. So, at that time, the people were bereft of God’s guidance who stubbornly stuck to the laws of the Old Testament in the temple and did not accept the work of the Lord Jesus. Is there any difference between the situation of the religious world at present and that at the end of the Age of Law? “I think of Canaan’s famine. At that time, only by walking out of the area of famine and coming to Joseph for food could people survive the disaster. Another example: When the Lord Jesus came to do His work, the temple had become desolate. Only through leaving the temple and accepting the gospel of the Lord Jesus could people gain God’s salvation. Just as Peter, John and others, they accepted the watering and nourishing of the Lord, and thus had new light and the path of practice. As a result, they not only had gained the work of the Holy Spirit, but had obtained the Lord’s redemption. Likewise, now the whole religious world becomes seriously desolate, and God wishes that we can take the initiative to look for His footprints. The Lord Jesus said, ‘“Ask, and it shall be given you; seek, and you shall find; knock, and it shall be opened to you’” (Matthew 7:7). It is also prophesied many times in Revelation, ‘“He that has an ear, let him hear what the Spirit says to the churches’” (See Revelation 2-3). The Lord’s words make it very clear that when He returns in the last days, He will still speak words, and that He has reminded us to actively search and pay attention to listening to what the Holy Spirit says to the churches. » Click here to watch this short video and see how a desolate church is revitalized. Hurricane Irma, a Category 5 storm, the strongest storm ever recorded in the Atlantic Ocean sped across the Caribbean islands on Thursday morning (September 7th), which damaged many buildings and trees, affected over 1.2 million people, and made thousands of people homeless and killed at least 14 people. Almost 90 percent of all structures on Antigua and Barbuda had been destroyed, rendering the islands “barely habitable.” The hurricane Irma has been downgraded after making landfall in Haiti, Turks and Caicos Islands and Bahamas. When Irma makes its closest approach to Florida with 180 miles per hour—most likely before 10th—the state government has ordered all public schools closed and issued a mandatory evacuation order for 500 thousand residents. Irma, a category five hurricane, has sustained winds of 183 mph (295 km/h) for more than 33 hours, becoming the longest storm to sustain this speed since the 1970s. Predicted by the Meteo France, it may sustain this speed until it reaches Bahamas. Related Video After the once-in-a-hundred-year total solar eclipse, we encountered Typhoon Hato. Hong Kong Weather Bureau raised its typhoon warning signal to 10, the highest level. And it’s closely followed by the great flood in America which can be said once in a millennium and caused by Hurricane Harvey, which is Category 4. Before the influence of Hurricane Harvey to America gone, a Category 5 Hurricane Irma came and it lunged at America again after ravaging Caribbean Sea. These disasters, occurred one after another, have continually broken all weather recordings, which made people feel fear. Moreover, many meteorologists have predicted that the future disasters will be greater and greater. Way back when the total solar eclipse occurred, many people thought it was God’s reminding to us and there will be disasters afterwards. An American preacher, Anne Graham Lotz published a blog post, “Is God’s Judgment Coming on America?” to remind people that the solar eclipse was not something that should be celebrated but God’s warning to us, and maybe God’s judgment will come upon America. He called on people to return to God and render our hearts in sincere, heartfelt repentance. Australian pastor, Steve Cioccolanti who is a Discover Ministry also posted a video, “IS AMERICA IN THE BIBLE | GREAT AMERICAN ECLIPSE AUG 21st, 2017 A REAL END TIME SIGN” and he thought the solar eclipse was the sign of the last days. What’s more, eight American church leaders claimed in a report that the solar eclipse was the sign of the last days and also the sign of the Lord Jesus’ return. Let’s check the Bible together: “And there shall be signs in the sun, and in the moon, and in the stars; and on the earth distress of nations, with perplexity; the sea and the waves roaring” (Luke 21:25). “For then shall be great tribulation, such as was not since the beginning of the world to this time, no, nor ever shall be” (Matthew 24:21). From these scriptures, we can see the prophecies about the last days have almost all been fulfilled. The disasters we encounter are greater and greater, from which we can see the Lord’s day has come. We are all expecting the Lord’s coming, so that He can take us to be by His side from the sufferings of the last days, and we can be saved and enter the kingdom of heaven. From the upper trend in disaster occurrence, we can see welcoming the Lord’s return has become a top priority, which is also extremely urgent. But do we really know how to welcome the Lord’s second coming? Many believers think we just need to earnestly serve God; some think no one can know the Lord’s coming, but when He comes, people will know it. We all have different opinions about welcoming the Lord’s return and different views about the scriptures. But the Lord Jesus taught us only by being wise virgins and recognizing the voice of the bridegroom can we welcome the Lord’s return. Just as it is said in the Bible, “However, when he, the Spirit of truth, is come, he will guide you into all truth: for he shall not speak of himself; but whatever he shall hear, that shall he speak: and he will show you things to come” (Jhn 16:13). From this verse, we can see that when the Lord Jesus comes, He will speak more words and will show us things to come. At that time, only those who focus on hearing the voice of God will be able to receive the return of the Lord. Because it is recorded in the Bible, “Behold, I stand at the door, and knock: if any man hear my voice, and open the door, I will come in to him, and will sup with him, and he with me” (Rev 3:20). Thank God. May we all be wise virgins and welcome the Lord’s second coming! Peace be with you all! Dear brothers and sisters, if you have any understanding or enlightenment from God, you’re welcome to share with us.1. Via the online chat window at the bottom right corner of the screen.2. Send an email to info@testifygod.org.We sincerely hope we’ll grow spiritually through sharing with each other.